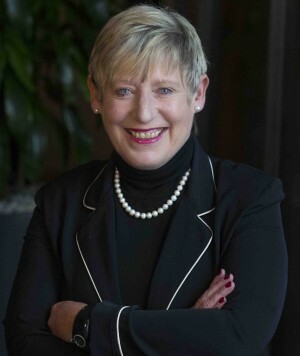 Mayor Lianne Dalziel is recommending Christchurch City Council puts extra money in its budget for improving the city’s core infrastructure. The Council will meet on Friday 21st June to begin finalising its Long Term Plan (LTP) – the document that maps out the Council’s work programme and priorities for the next 10 years and how it proposes to fund them. Allocating an extra $16.8 million over the next three years for improving roads and footpaths, including intersections and school safety. Approve spending an extra $48 million over the next three years on improving the performance of the city’s wastewater network. “We heard very clearly from the community that people want roads and footpaths repaired faster so we’ve made changes that allow us to repair those in the worst condition sooner,” says Mayor Lianne Dalziel. Bringing forward funding for the city’s planned new stadium by two years. Providing a $30 million loan facility to support the building of more social housing in the city. Supporting a range of initiatives in the community, such as Thompson Park, Linwood Pool, and Edgeware Pool, and additional opening hours for Matuku Takotako: Sumner Centre. Continuing the Landmark Heritage Grant for three years. Fast-tracking sections of the Quarryman’s Trail and Nor’West Arc cycleways that will support a number of schools. Extending the one-hour free parking offer in its central city car parking buildings until the end of January 2019. Requesting the Development Forum develop a work programme to maintain momentum in the CBD, focusing on landbanking practices and incentives to develop inner city residential properties. Continuing free swims for Green Prescription holders and pre-schoolers at Council pools during school hours. View the Christchurch Mayor’s full recommendations for increased infrastructure funding. It is proposed rates increase by an average of 5.5 percent in the coming financial year to fund this work (plus $6.52 per property for the special heritage Cathedral grant). This is about $2.80 more a week for a home with the average RV of $500,000.